In the last decade, my wife and I have taken out three separate mortgages. Each time, we had to consider a variety of mortgages options. Personally, we chose a conventional 30 year fixed interest rate mortgage every time. However, we did consider many other types of mortgages in the process. If you’re considering taking out a mortgage, whether it is your first mortgage or your fifth mortgage, you should strongly consider the following parts of mortgages to help you choose the right mortgage for you. A single mortgage usually isn’t too complex. That said, there are many factors you need to consider when you’re comparing multiple types of mortgages. Different mortgages offer different options for each component of the mortgage. Here are some of the main factors we considered when choosing the right mortgage for us. You should do the same. One of the first factors to consider is deciding on a fixed interest rate or a variable interest rate mortgage. Fixed interest rate mortgages have the same interest rate for the entire life of the loan. Variable interest rate mortgages have interest rates that can increase or decrease over time, usually based on a benchmark interest rate such as LIBOR or the prime rate. In general, variable interest rate loans usually have a lower initial interest rate than fixed interest rate loans in the current environment. On the other hand, if interest rates increase while you’re repaying your mortgage, the interest rate you pay in the future could very well be higher than the interest rate you could obtain with a fixed interest rate loan. If you believe interest rates will decrease in the future, you may want a variable interest rate mortgage. Just make sure you can afford the payments if interest rates end up increasing to the cap listed in your mortgage. If you believe interest rates will be increasing, it may make sense to lock in the current low interest rates with a fixed rate mortgage. Another important factor few people consider when taking out a mortgage is the length of the loan. Believe it or not, you can usually get mortgages for many time periods. The most common mortgages are 30 year and 15 year mortgages. Some lenders also offer 5, 10, 20, 25 and 40 year mortgages. In general, the longer the loan length the more you’ll pay in interest over the life of the loan. Also, the shorter the loan length the lower interest rate you can usually obtain on a loan. Most loans require a down payment in order to obtain the best interest rates possible. While some loans do not require down payments, most require anywhere from a three and a half percent down payment to a 25 percent down payment. If you cannot afford to put down at least 10 or 20 percent down payment, you’ll likely have higher mortgage costs. 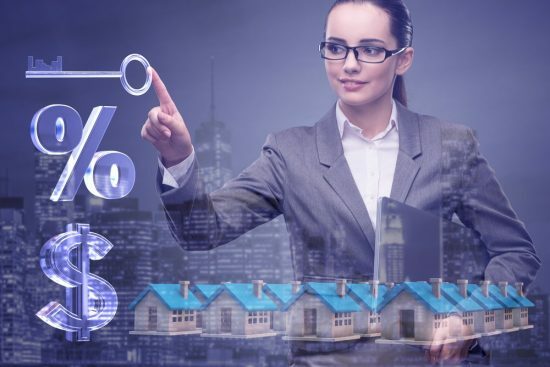 Additionally, you want to consider if you can really afford to buy a home at this point in your life or if you’re stretching yourself financially to become a homeowner. Remember, you should not use your emergency fund money for a down payment. If you don’t put down a large enough down payment, usually 20 percent, you could have to pay private mortgage insurance (PMI). While PMI may not seem like a big deal, it can easily add hundreds or thousands of dollars per year to your mortgage payment. While some loans allow you to remove PMI after you achieve a certain amount of equity in your home, other mortgages require you to pay PMI for the life of the loan. No matter which type of mortgage you choose, each individual lender will have different closing costs. Closing costs are all of the various fees, costs and prepayments required to issue a mortgage on your home. They often include prepaid insurance and prepaid property taxes. Closing costs also include fees to professionals such as title companies, surveyors, home inspectors, notaries, lawyers and other professionals. They may even include homeowners’ association fees, new buyer fees and points to buy down your interest rate. The important thing to realize is you’ll either pay for closing costs with every type of loan or you’ll receive a higher interest rate to offset the cost of your closing costs. Some loans require more closing costs than others, so make sure to discuss this with your lender when choosing a type of mortgage. There are many types of mortgages to consider. Some mortgages are run by federal programs while others are more traditional loans that investors buy. Here are some of the major types. Conventional mortgages are one of the most common types of home loans. These loans usually offer fixed rate or variable rate options, as well as different lengths of the loan. These loans aren’t insured or guaranteed by the federal government. That means you usually don’t have to jump through as many hoops as other types of mortgages. That said, you will have to make sure you and your loan conform to a set of standards issued by Freddie Mac or Fannie Mae, as many lenders like to sell conventional mortgages to these mortgage giants. Those standards usually include larger down payments and higher credit score requirements. An FHA loan is a mortgage insured by the Federal Housing Administration (FHA). These loans require a down payment of as low as 3.5 percent. FHA mortgages are usually easier to qualify for and may offer lower closing costs. The big downside to a FHA loan is private mortgage insurance, which must remain for the life of the loan. You’ll be charged an upfront PMI fee of 1.75 percent of the value of the loan. You’ll also have to pay an annual fee which is usually around 0.85 percent. These fees can add up, especially if you stay in the home for a long period of time and never refinance your mortgage. USDA loans are guaranteed by the United States Department of Agriculture. Thanks to this guarantee, you may qualify for a home loan with no down payment at all. However, no down payment means you’ll have to pay PMI. PMI for USDA loans is currently a one percent upfront fee and a 0.35 percent annual fee based on the remaining loan balance. To qualify for a USDA loan, the home you’re purchasing must be in a qualified rural or suburban area. You can check using this map. You will also need to meet certain credit requirements and have an income less than the current income limit for your area. If you’re a member of the military or a veteran, you may qualify for a loan partially guaranteed by the Department of Veterans Affairs. These loans require no down payment, but they do require a funding fee of up to 3.3 percent. The different between the 3.5 percent FHA loan down payment and the up to 3.3 percent VA funding fee is the FHA down payment builds equity in your home while the VA funding fee does not. VA loans do not require PMI and also limit fees that you may have to pay when taking out a loan. This saves you money versus FHA loans, especially if you live in your home for a long time without refinancing. You will have to meet income and credit requirements, but they are often less restrictive than other loan programs. Chances are you may qualify for more than one type of mortgage. If you do, you’ll need to figure out which is the best for you. In order to do this, my wife and I made sure to look at our personal circumstances. First, we wanted to make sure we would be debt free before we retired. That meant we could still take out a thirty year mortgage because we’re still young. If we were closer to retirement, we wouldn’t take out a loan longer than the number of years until we retired. Learn the 3 principles to make retirement planning not so daunting. Next, we considered how long we planned to stay in our home. We can’t imagine moving any time soon unless there is a drastic change in our life that requires us to leave the current area we live in. For that reason, we decided a longer, fixed rate mortgage could help us lock in the current interest rate. If you’re only planning to be in a home for a few years, a lower interest rate variable rate mortgage may save you money. Is Paying More up Front Worth Long Term Savings? If you qualify for a conventional mortgage and low down payment mortgage options, you’ll have to decide if putting a larger down payment down now is worth saving money in the long run. Conventional mortgages with higher down payments can save you a significant amount of money if you qualify for the best rates and plan to keep the mortgage for a long time. Only you can decide which is best for you or if you should pay off your mortgage early. There are other types of mortgages in addition to the main types covered above. Those exotic mortgages are usually pretty unique to various situations. You should always investigate all of your options. 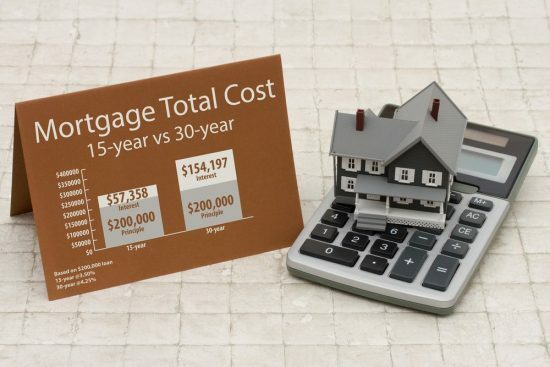 Run the numbers and pick the mortgage loan that works best for you. When we looked at our options, we decided putting more down up front was well worth the long term savings. We plan to stay in our current house for years to come. We figured we should get the best interest rate possible with no PMI. We’re glad we did.